On Sunday, Feb. 11, Boston legend forward Paul Pierce, known as “The Truth,” had his jersey retired and raised to the rafters of the TD Garden. One of the instrumental members of the “Big Three” and captain of the 2008 NBA championship team, Pierce’s legacy and devotion to the city of Boston will be remembered for a long time to come. 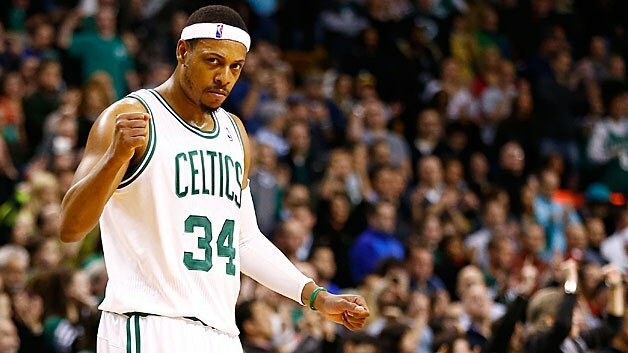 Back in 1998, Pierce was drafted by the Celtics as the 10th overall pick coming from the University of Kansas. In his first few seasons he quickly rose to prominence and took the Celtics to the playoffs in 2001 for the first time in seven years. Pierce was nominated to the NBA All-Star team every year from 2002-2006 and also led the league in scoring with 2,144 points. His legacy truly began, however, when the Celtics won the championship in 2008, when guard Ray Allen, forward Kevin Garnett and Pierce became known as the Big Three. Pierce was selected as Finals MVP and averaged 22 points per game during the six game series against the Lakers. The next year the Celtics lost to the Lakers in a repeat finals scenario, and the following year they lost to Miami in the second round. Despite coming up short, Pierce still hit many milestones in the Celtics’ history and to this day he has the most 3-pointers, steals and free throws in Celtics’ history. Following a disappointing loss to the Cleveland Cavaliers on Sunday, Pierce had his tribute video played and he gave his speech. In attendance were some former teammates Garnett and point guard Rajon Rondo, as well as former Celtics’ coach Doc Rivers. Allen, however, did not attend because he felt that his controversial return to Boston would take away from Pierce’s well deserved moment. He did take to Instagram to post a long paragraph congratulating his former teammate and showing his love. With the number 34 forever retired onto the banner at the TD garden, Paul Pierce will be remembered by the city of Boston for the toughness, grit and passion that he gave to the city. His legacy is one of Boston’s greatest, with all of the amazing things that he accomplished in his long career. Long live The Truth. Celtics Playoff Preview: Can Irving lead this team to glory?